The jury has found the defendant guilty. The intermediate court of appeals has affirmed the conviction, and the Texas Court of Criminal Appeals has refused the defendant’s petition for discretionary review. Yet, the defendant still believes the process was fundamentally, constitutionally, unfair. This is why habeas corpus exists as a post-conviction, post-direct appeal remedy.1 This article provides a basic overview of this important process. The writ of habeas corpus is a safety valve to address either (1) a fundamentally, and ultimately constitutionally, defective procedure leading to the conviction or sentence, or (2) a claim of actual innocence. The requirements to prevail on a claim of actual innocence are quite high. Cases meeting the stringent standards imposed usually involve exculpatory DNA results. Habeas corpus is not a second appeal or a way around an unfavorable decision on direct appeal. Defendants cannot assert claims in a habeas application that they did raise or could have but did not raise on direct appeal. Neither can they raise claims apparent from the appellate record. Instead habeas corpus is a vehicle to make a record of new evidence that demonstrates either innocence or a constitutional violation. Because appellate courts do not admit or rule on evidence, the various types of habeas corpus procedures involve the admission of evidence and testimony in a trial court. With one exception discussed below, there is no constitutional right to the assistance of counsel on an application for writ of habeas corpus,2 but the judge presiding over the application does have the discretion to appoint counsel if he or she so chooses. While the various types of writs vary somewhat in the specifically applicable rules and procedures, they share a common order of proceedings. Understanding this order can help make clear the differences between them. Writ proceedings begin when the convicted defendant files an application for writ of habeas corpus and serves the state with a copy. Thereafter, the defendant is referred to as the applicant. The Court of Criminal Appeals mandates a form for Article 11.073 writs available on its website and from any district clerk. While other writ applications do not have a required form, many copy or draw inspiration from the Court of Criminal Appeals’ form. The state generally files a written answer. If the state does not, the writ claims are deemed denied. However, the answer is the state’s opportunity to raise certain defenses or equitable issues. The receiving court may deem the filing frivolous, if it does not raise cognizable issues upon which the court can grant relief, and deny the application. Otherwise, the court issues an order designating issues raised by the application about which it desires to receive evidence. It receives that evidence either through witness testimony at a hearing or without a hearing via affidavit and written exhibits. The trial court evaluates the evidence received, the application, the state’s answer, its own memory of the trial or plea proceedings where applicable, the record, if any, and the contents of the district clerk or county clerk’s file on the case. The court must then make findings of fact and conclusions of law along with its order either denying or granting relief, or a recommendation of such an outcome. Both parties typically submit proposed orders for the court’s consideration. Sometimes, if the state agrees the writ has merit, the parties will submit a joint proposed order. When issued by a trial court, an order granting or denying a habeas application is appealable via normal appellate procedures. While all post-conviction writs share these features, the timing and manner of their execution varies by writ type. Appellate lawyers label the writ types by the sections of the Texas Code of Criminal Procedure whence they spring. Article 11.09 on its face applies to all misdemeanor offenses. However, Article 11.072 governs applications filed in all cases involving community supervision. This leaves Article 11.09 to govern misdemeanors involving jail sentences. Generally, county court judges hear misdemeanor writs, usually the judge presiding when the challenged conviction occurred. However, district courts can and sometimes do preside over these proceedings,4 such as when an applicant was charged with a felony offense but, pursuant to a plea bargain agreement, admitted guilt and was sentenced in a district court on a misdemeanor offense. Unlike the writs discussed below, the Code of Criminal Procedure does not impose any deadlines for the misdemeanor writ process. Thus, wise practitioners present the court with a proposed scheduling order when necessary to keep the proceedings moving. The court in which the application is filed designates issues, receives evidence, and issues an order granting or denying relief. Article 11.072 governs writ applications in misdemeanor and felony cases involving defendants currently on or who have successfully completed community supervision. If the applicant had his or her community supervision revoked and was sentenced to a period of incarceration, he or she should file the writ application under either Article 11.09 (misdemeanor) or Article 11.07 (felony). The applicant files the application with the clerk of the sentencing court. The state has 30 days to file an answer and can obtain one 30-day extension. Thereafter, the trial court either dismisses the application as frivolous or designates issues, receives evidence, and, not later than 60 days from the date the state’s answer is filed, enters an order granting or denying relief. Article 11.07 governs writ applications in felony cases where the defendant was sentenced to a term of incarceration. The applicant files the application with the clerk of the court in which he or she was sentenced. The applicant must use the form prescribed by the court of appeals. 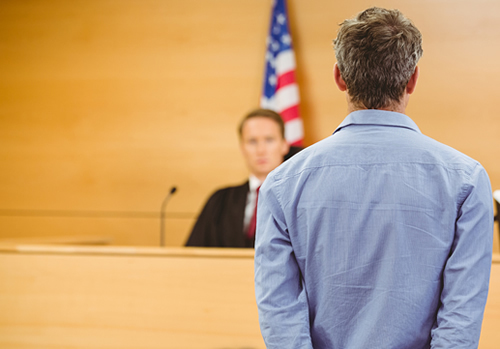 Because the defendant is usually incarcerated and often files these applications pro se, in practice the district clerk often serves the state. Here, the state must file its answer within 15 days of service. Within 20 days of the expiration of the time for the state to file its answer the trial court must either dismiss the application as frivolous or enter an order designating issues. Over a period of 180 days, the trial court receives evidence from the parties regarding the designated issues. Thereafter, unlike Articles 11.072 or 11.09, the trial court cannot grant or deny relief. Rather, the trial court enters an order setting forth its findings of fact and conclusions of law as well as recommendation as to whether the application should be granted or denied. Upon expiration of 180 days, the district clerk forwards its writ file, including trial court’s findings, conclusions, and recommendations, to the Court of Criminal Appeals, which considers the case and disposes of the writ by either granting or denying it with or without a written order. While there is no right to appeal the Court of Criminal Appeals’ decision, that decision, or the underlying conviction, can be challenged by an application for a writ of habeas corpus in federal court, though those proceedings are beyond the scope of this article. Article 11.071 governs the proceedings for a writ application in a capital murder case in which the defendant was sentenced to death. This functions much like an Article 11.07 proceeding, save for certain additional protections for the applicant. For example, unlike other writs, in an Article 11.071 proceeding, the applicant is entitled to counsel. Often, if the applicant cannot afford counsel, the trial court will appoint the Office of Capital and Forensic Writs, which exists for this very purpose. Timelines also differ from an Article 11.07 writ because in this type of case, counsel is appointed and investigates potential writ claims while the direct appeal proceeds. Thus, the application deadline is the later date of (1) 180 days after habeas counsel is appointed or (2) 45 days after the state’s brief is filed with the court of appeals in the direct appeal. Habeas counsel can obtain a 90-day extension after giving notice and an opportunity to be heard to the state. The state’s answer is due 120 days after it receives notice of the application. The state can obtain one extension up to but no later than 180 days after it receives notice. 1. The law does allow for relief via certain types of pre-conviction habeas corpus but those procedures are not covered herein. 2. See Ex parte Graves, 70 S.W.3d 103, 110 (Tex. Crim. App. 2002). 3. Article sections herein refer to the Texas Code of Criminal Procedure. 4. See Ex rel. Rodriguez v. Onion, 741 S.W.2d 433, 434 (Tex. Crim. App. 1987). JOHN C. PREZAS is an appellate prosecutor in the District Attorney’s Office of Williamson County, Texas. He has previously served as a felony and misdemeanor trial prosecutor, a juvenile prosecutor, and a defense lawyer in private practice. Prezas is a Harvard Law graduate and began his legal career as an associate of Baker Botts.